Earlier this week I created a task force at work in response to a scheduled audit. 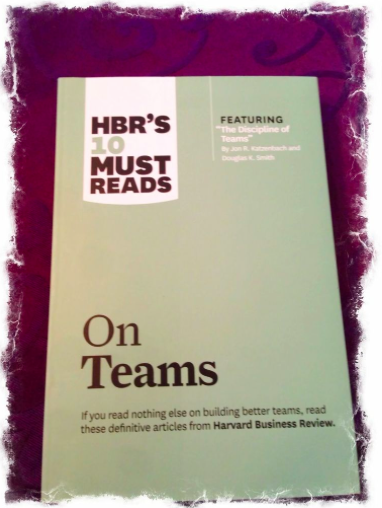 I decided to apply some of the concepts I have been learning and to set the mood I used Alex Pentland’s article in “HBR’s 10 Must Reads On Teams”. It turned out to be a very effective meeting so I am listing the steps below. The meeting ran for 20 minutes. If I had to work from the ground up, with strangers… we would have spent more time on steps 1 and 2, for a total of 45 minutes or so. The team I created consisted of three of my current employees so we could skip the first two steps in building an effective team: (step 1) Introductions and (step 2)background info. Everyone knew each other very well in terms of previous experience, talent and I already have their psychometric profiles. They have been working together for years so they are also familiar with strengths and weaknesses. I took the lead and (step 3) declared our intention was to be an effective team. In order to ease into step 7 later on, I turned to the team in order to reach (step 4) the acknowledgement of trust and vulnerability. After acknowledging the answers I went to the white board and wrote three very important Es in team. In an adaptation of Pentland’s three key communications dynamics that affect performance, I launched in a quick pep talk. “This is also a key element. You guys often go beyond your responsibilities and even out of this department to learn or better understand what it is that we do. I need you to bring to me issues that I may have overlooked. I don’t have all the answers (vulnerability) but I am sure you all have my back (trust). (step 5) Defined the issues to be addressed. The audit will consist of a third party walk around and interviews with random employees. (step 6) Prioritize issues. The walk around is more important, since all employee training is kept up to date and even new hires are well aware of our policies and procedures. (step 7) Leadership assigned. I passed leadership to our Joint Health and Safety Committee member. She was responsivle for making decisions regarding the timeline and where to focus the team. (step 8) Define Roles and list resource requirements (if any). They divided the work into sections so that we could have accountability. (step 9) Ground Rules. I laid those rules in a simple way: no action taken outside our department. Any major issue is reported immediately to me. A photograph is to be taken prior to tackling anything deemed important by the JHSC team leader. (step 10) Goal setting. A perfect score on the audit and positive feedback on our preparations. The steps above can be recycled into the creation of any short term team. It is interesting to refer back to the article published by Alex “Sandy” Pentland because it draws conclusions from data we have been unable to gather in the past. The technology simply did not exist. As part of a study at MIT’s Human Dynamics Laboratory, using wireless and sensor technology, “data badges” were created that capture human behaviour. These badges are so advanced they can capture more than 100 data points a minute and are very tiny. Measuring communication patterns of 2,500 people working in teams, they managed to predict which teams would turn out to be successful based on three measurements, namely: Energy, Engagement and Exploration. John Maxwell believes that everything rises and falls based on leadership. 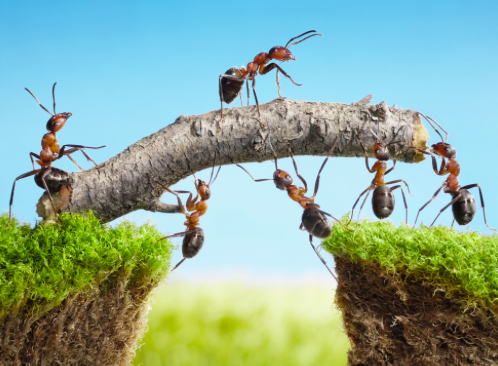 When it comes to Highly Effective Teams, this new research shows that communication is the key element. What separates good from great is the third factor, exploration. Reading that I can’t help but be reminded that I still need to get a Mastermind Group up and running. Excellent article. I suggest buying the whole book, but if you can find a friendly bookstore you can open and read the whole article in less than half hour.